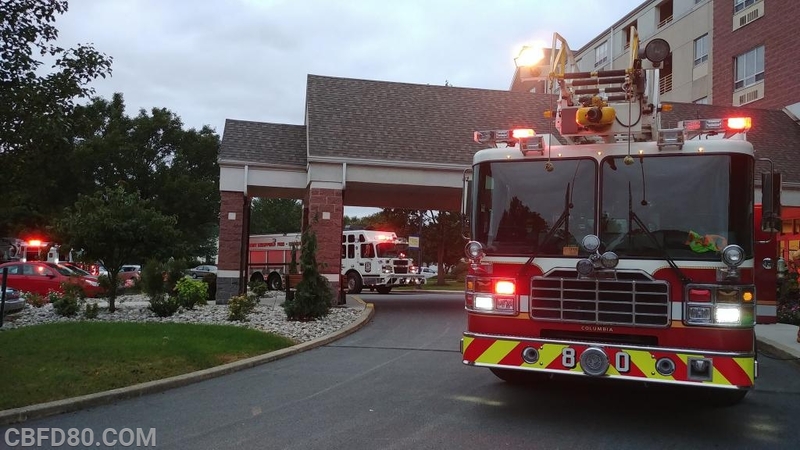 Company 80 was sent for a fire alarm at a local nursing home in the borough. The volunteers found a smoke condition on the fourth floor and the assignment was upgraded. The source was traced back to a stove fire that was extinguished. Units remained on scene for 90 minutes ventilating the floor. Assistance was provided by Engine 41 (York), Tower 75, and Rescue Squad 76. Engine 10 relocated to Station 80 to cover the area.